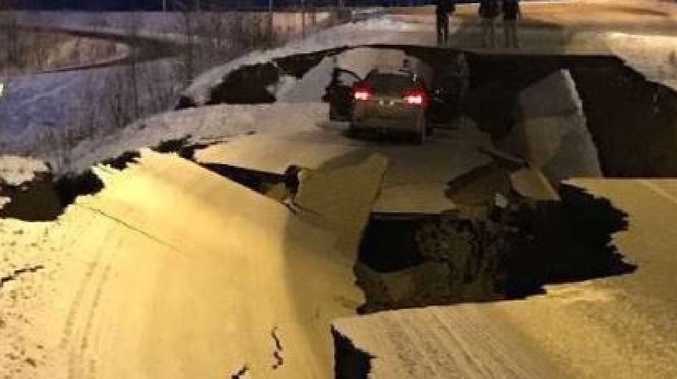 ROADS cracked, trees swayed and people sought shelter under desks as a 7.0 magnitude earthquake hit Anchorage, Alaska. The earthquake prompted a tsunami warning, urging people in coastal zones of southern Alaskato move to higher ground immediately, but it was cancelled a short time later. 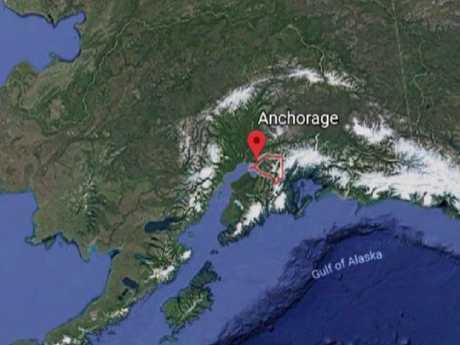 The US Geological Survey reported the earthquake centre was about 12 kilometres north of Alaska's largest city. SAD: 6.7 magnitude Earthquake hits Anchorage, Alaska and causes massive distraction. BREAKING: Officials have canceled a tsunami warning for southern Alaska that was issued following the 7.0-magnitude earthquake. Sarah Palin says her "family is intact" but her "house is not", and "I imagine that’s the case for many, many others. So thankful to be safe; praying for our state following the earthquake."